A modern and efficient media workflow is based on a multi-tier storage solution that can support virtual computing space and API interfaces. The transformation of the media and entertainment workflow from discrete, server-based silos to software-based environments is well underway. As the industry makes this shift, media companies find that placing a scale-out storage solution at the heart of the IP workflow yields the additional benefits of improved flexibility and cost savings. Unifying multi-tier storage with the many applications that drive modern content creation — from ingest, logging and asset management to editing, effects creation, and color correction — makes ideal sense. In this new model, storage is much more than a data repository; it becomes the very heart of the workflow. The ability to virtualize applications and run them on bare metal rather than on bespoke hardware is a key enabler of this new paradigm. By adding a virtual computing space to the storage environment, a host of applications can be run from the same interface used to manage the storage network. This capability allows facilities to deploy new tools and capabilities much more quickly and easily than by using discrete compute and networking hardware. For applications not yet optimized for a virtualized environment, APIs remain a critical and valuable tool for building an end-to-end workflow. It has been more than 15 years since the first APIs were introduced, and today their use to connect applications and storage has reached a critical mass. APIs for media asset management (MAM) and transcoding, for instance, can effectively reach into the underlying storage infrastructure to enhance their own functionality and streamline the overall workflow. When a high-performance shared file system can protect workflow processes from downtime by sharing digital assets across multiple servers, the integration of storage and applications delivers even greater efficiency across key workflow stages. Whether running natively or connected via API, applications linked directly to storage systems and built into the larger storage ecosystem allow media organizations to grow quickly and cost-effectively, gaining new capabilities without the need for hardware forklifts. Companies can scale up and out as needed while conserving real estate, power and money. Instead of “dumb” storage attached to production and playout servers, content creators now have access to an integrated, intelligent workflow solution that can not only host key applications but also automate the movement of data among storage tiers. Team members can then retrieve and use files regardless of the file location, the applications they are running, or type of client system they are using. A built-in policy engine can allow users to set rules for data movement among storage tiers, or in accordance with internal or external content retention rules, and a data mover can make the copying and transfer of files virtually invisible. With options that enable multiple sites to share a common content repository, the storage system can also facilitate streamlined collaboration that overcomes geographic distances and time zone differences. Fast, flexible and simple synchronization functionality can span multiple sites, and assure that content on multiple systems remains up to date and protected. Users can take advantage of one-to-one, one-to-many and many-to-one file-replication scenarios, and they can configure storage to operate on specific files, specific folders or entire file systems. Efficient media production requires a collaborative effort. Facility designers need to implement a new type of storage and networking topology to support the benefits it can offer. It’s not just editors and artists who gain from this scenario. When multiple instances of the file system, located at different sites, share a common content repository, executives can readily browse and pull files from the shared workspace. A storage ecosystem offering these capabilities supports a truly global “always-on” collaborative workflow. Cloud access built into the storage system further simplifies the integration of public cloud storage accounts and private cloud object storage into this ecosystem. As noted earlier, all manner of applications are now being integrated into the storage ecosystem. Each type of application offers its own benefits to the overall workflow, including greater efficiency and cost savings by running fewer power-hungry appliances. Here’s a look at some of the key areas having the greatest impact on media workflows. The integration of a MAM system with storage is one of the most common forms of workflow convergence. For good reason. The use of API calls from the MAM application to the management system of a multi-tier storage system can enable automatic and seamless movement of data between various disk and tape resources to match the most appropriate and cost-efficient location with the workflow stage. At the same time, the connection of a MAM’s back office servers directly to central storage via a fiber link can dramatically accelerate media processes such as rendering, conversion, or transfers to video servers. Other common benefits of the MAM-storage integration include greater facility in enriching media with metadata to support more powerful searches, as well as faster, more comprehensive repurposing of content. Creatives can collaborate in real time through multiple ingest, edit, and delivery across geographies, and they can allow policies to govern and execute archiving of completed projects. As the organization grows, it can scale into higher-resolution formats and increase its capacity and performance while consolidating multiple storage devices into a single shared storage pool built on multiple storage tiers. Figure 1. A centralized, multi-tier storage infrastructure provides content creators with immediate, frame-accurate shared access to media files. Combined with high-speed SAN or LAN networks, this design enables staff to collaborate more effectively. Real-time collaboration is the ideal for professional content creation. Integrating tightly with primary storage, NLEs provide game-changing capabilities for collaborative workflows. 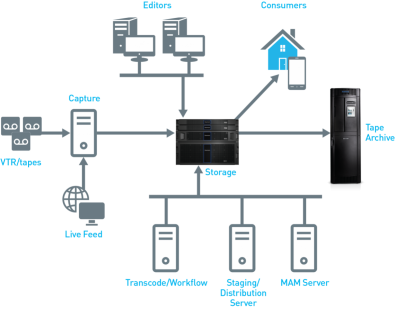 In addition to enabling time- and cost-saving edit-in-place capabilities, which eliminate the need to move content between central storage and individual workstations, the NLE-storage integration can give creative facilities the freedom to tune storage to the needs of different users and processes. Supported by a single shared storage and data management software platform, a SAN (Storage Area Network) or NAS (Network Attached Storage) can be extended across multiple client workstations to optimize capacity and bandwidth resources accessed by editorial team members. A Mac or PC computer can connect via 1 GbE for offline or compressed codec editorial, or via 10 GbE or even iSCSI when more bandwidth is needed for online or conform purposes. A storage ecosystem equipped with sophisticated file system and data management features even allows for fine-tuning of bandwidth allocation down to the workstation level. Interoperability today between transcoding applications and sophisticated storage systems is seamless and simple, without the need for special coding or complex integration. Whether accessed through a SAN-based or LAN connection, the file system appears as a native volume with all file structures and native protections retained. Live-to-file transcoding for the creation of time-shifted assets is one application in which tight integration with highly scalable object storage — on-premise or in the cloud — is proving especially valuable. Long-tail file storage for streaming video services also benefits from this model, particularly when the underlying storage platform can create a single pool of storage that is accessible by multiple users. 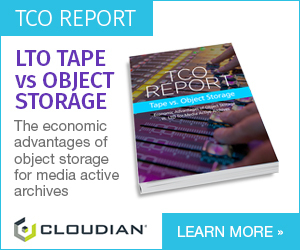 The automated transfer of files to less-expensive and longer-lasting storage media — disk, tape or even cloud storage — with continued visibility to creatives is useful in supplying immediate access to long-tail content and, through the transcoding application, distribution models as simple as right-click, transcode and send. By tiering the data workload across multiple high-performance servers, media organizations can accelerate mass digitization and transcode projects. The integration of artificial intelligence (AI) into today’s storage ecosystems represents a significant advance with respect to content awareness and data management. Now available as part of storage ecosystems spanning the cloud and on-premise installations, AI is enabling a new era in content value maximization by empowering content owners and other media organizations to mine information from existing media, no matter where it is stored. This means that even the world’s largest content repositories are no longer too large or too private to analyze, understand, and monetize. Figure 2. Key workflow elements in an integrated media workflow. With an on-premise solution for AI processing and metadata mining, companies can make the most of their content, automatically gather valuable metadata, maximize the potential of their MAM systems, and generate revenues from content that otherwise would remain hidden deep in their libraries. The integration of a file management application into the larger storage ecosystem can reduce both operating and capital costs associated with managing large amounts of unstructured data. Such an application can enable easy migration of files and projects to and within the underlying storage infrastructure, in turn improving speed, access, data protection, and cost management. Users benefit from real-time reports, which leverages high-speed indexing, tagging and search capabilities to highlight the best archive strategy for specific projects and content. Then, customizable data movers can take on the work of moving files and projects to and from the archive. In addition to ensuring that the media organization has a comprehensive archive repository in which all digital assets are preserved, the integration of file management into the storage ecosystem gives content owners a convenient means of locating and retrieving content from the archive. At long last, the media and entertainment industry is putting storage where it belongs: at the heart of the production workflow. As a result, content creators are reaping the rewards that come with the move to IP-based infrastructure. Taken with the adoption of multi-tier storage solutions, they are embracing in ever greater numbers the concept of a broad storage ecosystem that increases the power and agility of their creative workflow. This shift is an exciting and important change for the industry — and one that promises unprecedented freedom in creating and delivering multi-resolution, multi-format content in the years ahead. 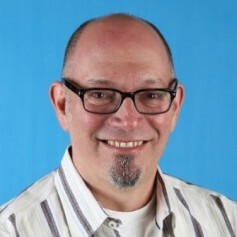 Keith Lissak, Senior Director, Media and Entertainment Solutions Marketing, Quantum.